The hotel owners expect this year the growth of winter tourism visits. The forecast includes both the number of tourists and the revenues, said Blagoi Ragin, chairperson of the Bulgarian Association of Hotels and Restaurants, in an interview for the national radio. "The early registrations of tourists are very good and we hope this years to top the numbers", Ragin said. According to him the growth of tourists from Turkey is most considerable – 27% and there are many tourists are expected from Greece, Macedonia, Romania and Ukraine. 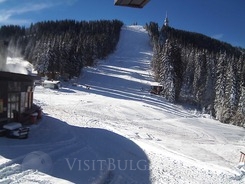 Ragin predicted that the prices in Bulgaria's winter resorts will remain the same as the previous season, as the competition is very stiff. He said he expects by mid-December the resorts to be nearly full.